The Army soldier, Jeetendra Malik who is posted in Srinagar was in Bulandshahr and has been seen in various videos related to mob violence. An Army soldier, who is alleged to have killed Uttar Pradesh Police Inspector Subodh Kumar Singh, has been reportedly arrested by the UP Police from Sopore area in North Kashmir. 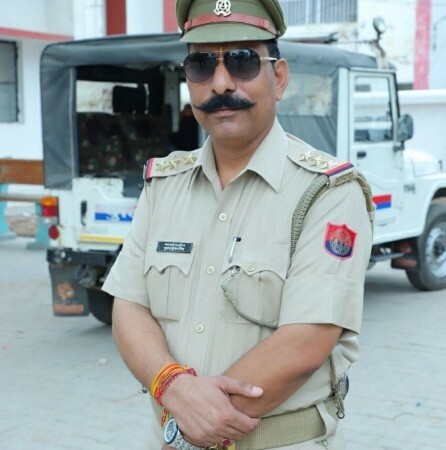 The soldier, Jitendra Malik alias Jeetu Fauji, had reportedly fled to Kashmir after the UP cop and another man were killed in the Bulandshahr violence that broke out on Monday after cow carcasses were found in a nearby forest. The Army soldier who is posted in Kashmir was seen in one of the videos recorded on mobile phone during the mob violence in Bulandshahr. The soldier was found very near to Subodh Kumar Singh. He is also seen in other videos as a part of the mob that incited violence, a senior investigating officer was quoted as saying by NDTV. According to India Today, a Special Investigation Team (SIT) constituted by the UP Police found that both Singh and Sumit were killed with the same pistol that belonged to Jitendra Malik. The police authorities subsequently sent its two teams to Kashmir to track the Army soldier. Earlier, Army Chief Bipin Rawat assured that they will fully cooperate with the UP Police for investigations. The UP Home department also transferred its two in-charge officers of the Chingravathi police chowki, "for their failure in responding in time to the situation arising on Monday in that area." Three more persons have been arrested connection to the mob violence in Bulandshahr after a series of videos went viral online. UP Chief Minister Yogi Adityanath's remarks of calling Bulandshahr incident "an accident" drew flak from various political leaders and netizens. The slain cop's family has alleged that Singh's murder was a part of the conspiracy especially since he was probing the Akhlaq murder case of 2015 and have demanded an impartial probe from the state government.